I've been wanting and looking for an owl necklace for such a long time but didn't want to spend a lot of money. I then found this Ebay seller selling one for 99p with only 15p postage. Yes 15p all the way from China!! Crazy I know! To be honest, with it being so cheap I didn't expect it to come. I wasn't really that bothered if it didn't as I'd only spent just over £1. I'm thinking of getting a new chain as it's a little short but I love it. If you want to buy one you can find it here. Have you followed the trend and bought an owl necklace? 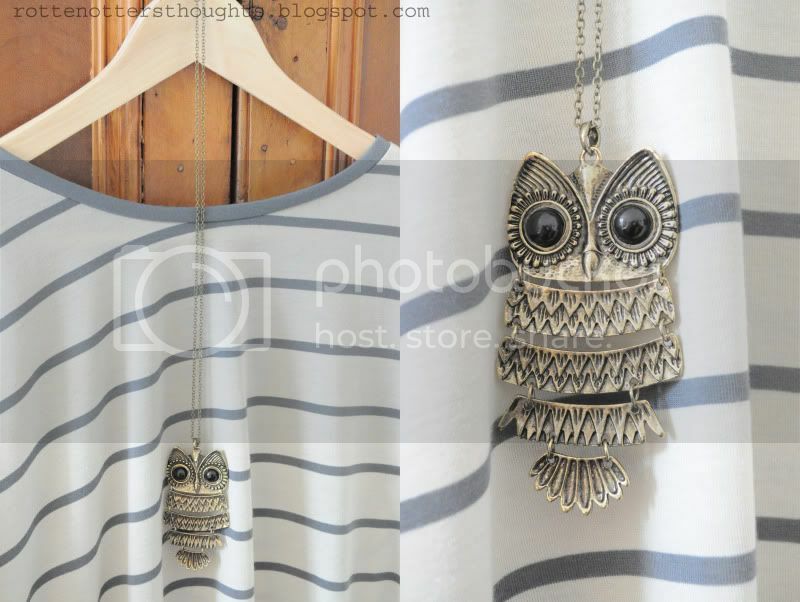 I bought this exact owl necklace last month, I love it. Topshop, Accessorize and handmade jewellery sites are selling them for around £7-14! Thanks! I just bought one! I don't know if I'm gonna love this on me, but at this price.. I can't be disappointed.